The 2016–17 season was Chelsea's 103rd competitive season, 28th consecutive season in the top flight of English football, 25th consecutive season in the Premier League, and 111th year in existence as a football club. Chelsea won their fifth Premier League title with a 1–0 win away to West Bromwich Albion on 12 May. This season is the last season where the shirts were being manufactured by Adidas. 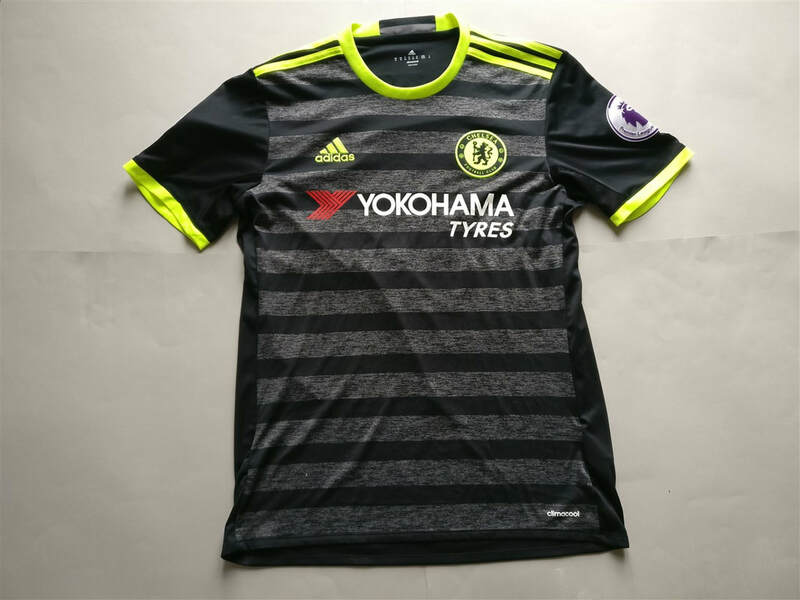 I like the vertical Adidas stripes running up the sides of the Home and Third shirts. 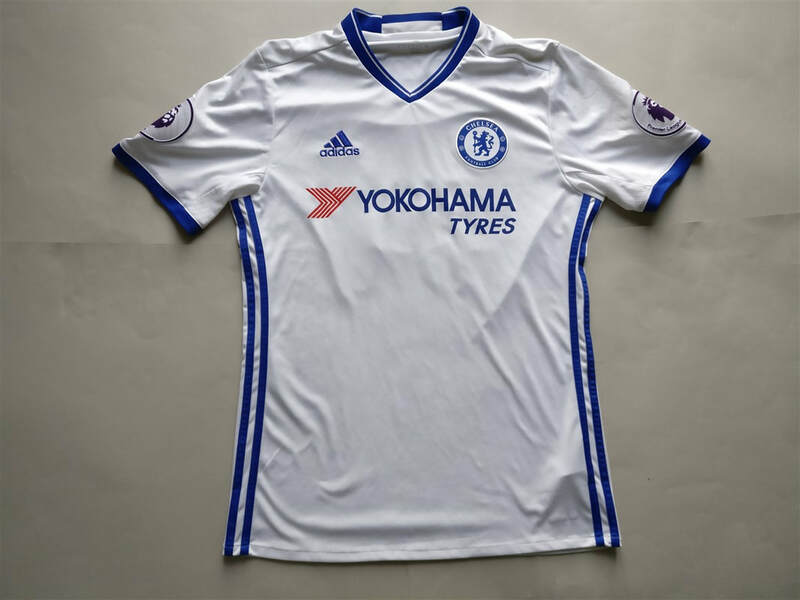 The Away shirt is one of my favourite Chelsea F.C. shirts. I've enjoyed doing my 5km runs whilst wearing my Kante shirt. I'm sure it makes me want to run that bit further. 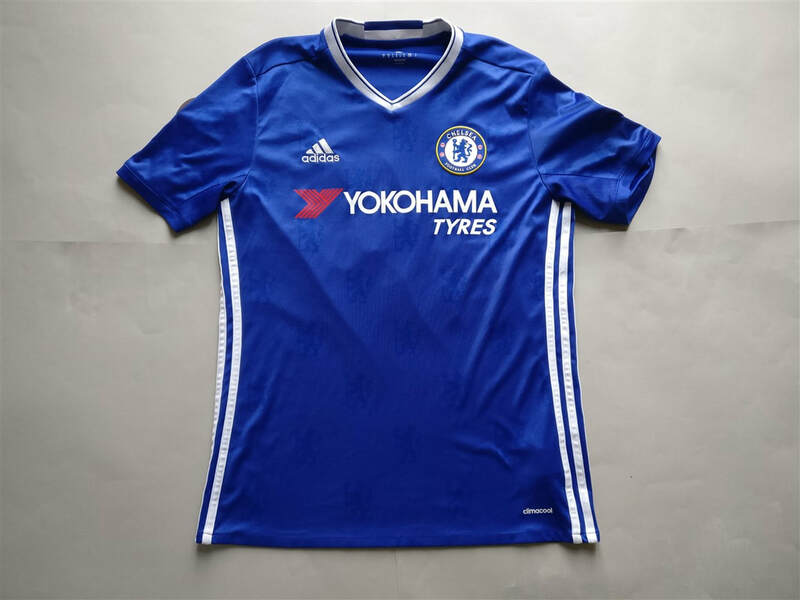 My three most recent 2016/2017 Chelsea shirts that I have added to my collection.